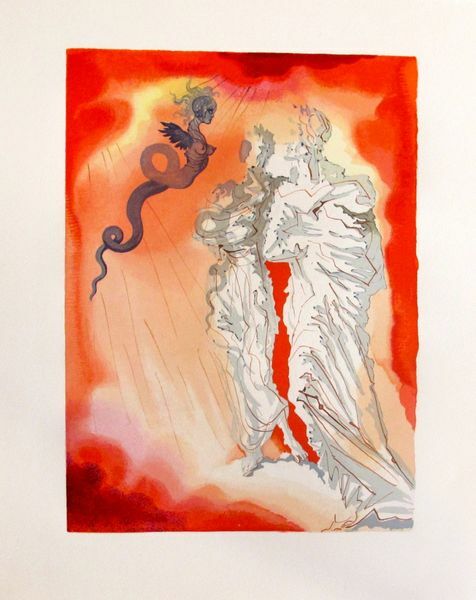 This is an original hand signed color woodblock from the Divine Comedy Inferno series by Salvador Dali titled “The Usurers“. 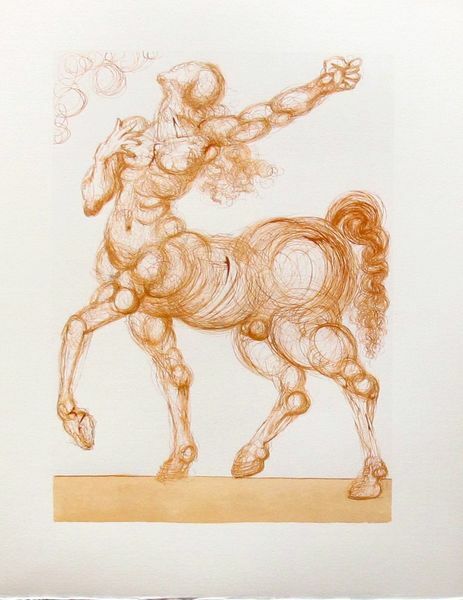 This piece was hand signed by Salvador Dali in pencil and numbered e.a. 13/25. Cantos woodcut #17 by Salvador Dalí. Original color woodblock engraving published 1960, on BFK Rives paper, published Les Heures Claires, Paris, France. Reference # ML1055.Dimensions: Image measures 13″ x 10″. With frame measures 20.5″ x 16.5″. In excellent condition, as pictured. Comes beautifully framed and matted. Comes with a certificate of authenticity. We fully stand behind all of our art sales with a full 30 day money back guarantee.THIS IS THE BEST PRICE YOU WILL FIND ANYWHERE ELSE FOR THE SAME PIECE! 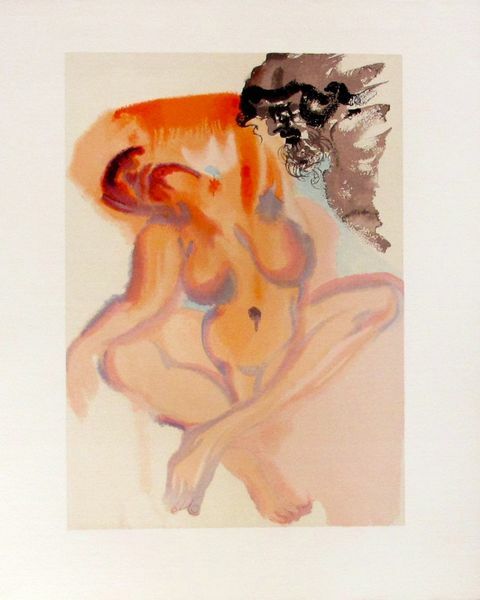 Be the first to review “Salvador Dali HAND SIGNED 1960 DIVINE COMEDY INFERNO #17 Framed Color Woodblock” Click here to cancel reply.